Moving into a new house has always been very important. Anyone who has ever experienced it knows that in most cases it is a turning point in life. But, unfortunately, sometimes the joy of the housewarming party can be marred by unnecessary hassle associated with the relocation. Luckily most of the potential problems can be predicted and avoided by implementing some proved means of precautions. Please read very carefully the moving tips below. Follow our advices step by step to minimise the risk of unexpected delays and unwanted damages to your goods. We will advice you on how to plan your move, organise your furniture and clothes so you will take only things that you really need to have with you in your new home. First thing you should consider when relocating is to check with professional shipping companies to USA what service they can provide. You need to realize that you are not moving down the road but you are about to jump from one continent to another. It is a long way. 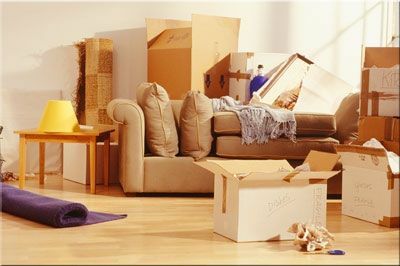 All your personal items and goods have to be packed properly so that they do not get damaged. You need to comply with many USA Border protection rules, procedures and import law. If you fail to do that your possessions may be returned to the UK at your expense. In the worst scenario your belongings may be destroyed at your cost, plus you will get a financial fine and will be banned from immigrating to USA. So our moving advice is to contact professional international movers and get from them as many shipping tips as possible. Most firms provide such a service for free so why you should not take advantage of it? What’s more you can book a free survey and talk to them in person, get all the info you need. The advice is – do not wait to the last minute to contact the professionals. They provide free advice on shipping stuff to USA. Get a list of items that you can’t take with you. Find out the tax rates, customs procedures, quarantine prices, and the delivery time. Get some packing tips and find out what types of moving boxes are available. At this stage you probably do not know what items you will be taking with you. Ask the surveyor to provide a few options, for example – moving just boxes – maybe different amounts 5, 10, 20 or 30, choose some most important furniture and at last ask for price for moving the entire content of your house. Now you know how a good quote should look like. And you know that it is free and with no obligation service. Let’s say all above is the moving advice number one. Based on the quote you will be able to see what the shipping costs to USA are. If you can’t afford taking the full service based on the cost breakdown you should be in position to calculate by how much your move can be cheaper if you did some preparation and packing yourself. One the quote you should have the type and the number of shipping boxes you need so you can try to find them on the internet, get them and pack your staff yourself. Here you will find some tips on international packing services. Using the inventory list you can go through all items and think what you can cross of the list to reduce the cubic volume. The items you do not want you can donate to charities, sell or simply recycle or dispose of. The less you take the less you will have to pay. The important tip is to check the furniture prices in the U.S. Sometimes it is not worth a hassle of taking some items unless they are of a sentimental value. Another shipping tip is to use the information you have received on the estimate. Simply write one email containing all your move details and send it to as many removal companies as you can. Why it is important to send the same email to everyone? By doing this you will make sure that each company bids based on the same requirements. This will give you a good comparison. You will be surprised how the prices will differ. The difference may be as much as 30%. Full shipping container to USA will cost you a few grand and if you lucky you will save even up to £800. I hope you like this moving advice on how to reduce shipping costs. Another tip to save some money is to ask your freight forwarder when is the low season and the prices are lower. If your moving date is flexible you should think about postponing your move a little bit. It is also advisable to make some checks on the company you want to use. Do some research on the internet forums? Ask people that have already moved, who they have used and if the are happy with the service they have received. Get some testimonials and references. If you want to send a parcel to USA make sure you use a courier company. If you want to send some selected stuff make sure your company offers groupage shipping services. If you need to import the entire content of your home make sure your get a sole container use service. Another good moving advice on shipping overseas is to check if your company is using full time, trained and experienced staff only and not agency porters. Ask what’s the quality of the packing materials? Make sure the boxes are brand new not used. For more moving tips and advice on how to plan and prepare a move abroad contact us today. We will be happy to answer all your questions and email you our shipping guide. Get the advice before you make the most common mistakes which will cost you much more than a few minutes of your time.